, WestEnd™ Software has developed a powerful tool that clients can use to better manage and monitor all common functions and tasks within their companies. Workflow allows users to setup an unlimited number of defined processes, assign users, create tasks, and set deadlines. These processes can be saved as templates for easy reuse for tasks that are common to an organization. Additionally, summary level views and built in reporting allows users to see where all open projects are, who is responsible for the next step and what tasks are taking up the most time. 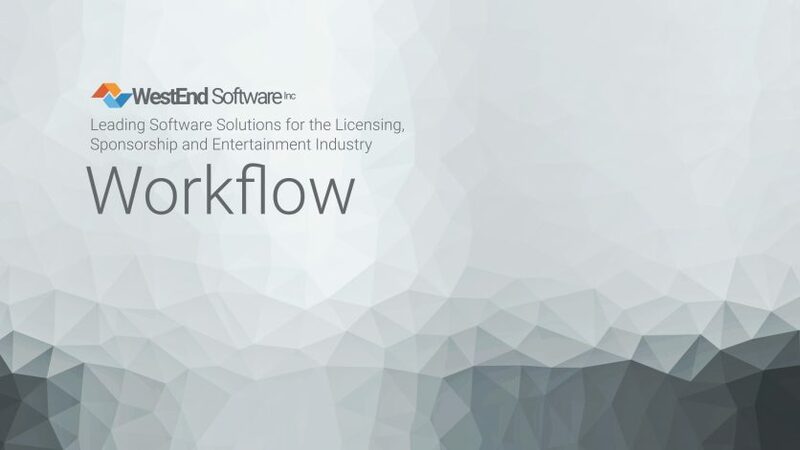 Through the use of automated email notifications, Workflow allows clients to better manage their common business functions all within the WestEnd Workspace solution environment.